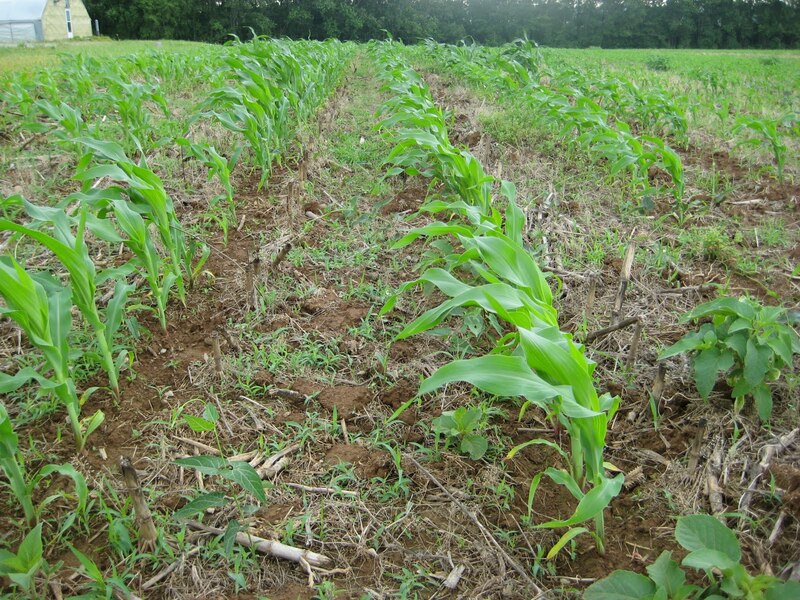 Farmers are considering replanting some corn fields. If replanting occurs, there are questions about maturity groups and when to expect harvest. As corn planting is delayed, heat units or growing degree days (GDD's) accumulate more rapidly. This more rapid accumulation of GDD's essentially speeds up the growth and development of hybrids. For example, a hybrid that requires 2700 GGD's to reach blacklayer needs about 130 days when planted on April 1 in Mayfield, KY. That same hybrid planted May 15 requires about 109 days, a 21-day difference. 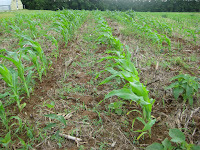 Replanting and delayed planting of corn puts the crop at higher risks for certain diseases. The following is updated excerpt from AGR-195 Replanting Options for Corn. Delayed planting or late replanting, could result in increased outbreaks of several diseases. The "virus complex": Infections of Maize dwarf mosaic virus and Maize chlorotic dwarf virus, viruses which survive in johnsongrass rhizomes and are spread (vectored) by aphids and leafhoppers, respectively, cause the virus complex. Compared to corn planted on time, late-planted corn is at an earlier stage of crop development during periods of peak vector activity, and earlier growth stage infection usually results in more severe disease symptoms. As farmers consider replanting corn, the herbicides already applied may limit the options for replant. The following table is an updated version of the table 8 in AGR-195 Replanting Options for Corn. The table below lists corn herbicides and the potential risk associated with replanting corn, grain sorghum or soybean. This table is not exhaustive, and the herbicide label should be consulted for more details on crop rotation limitations. As farmers debate about destroying poor stands of corn and replanting, there are several herbicide guidelines to consider. There are several options to remove a poor stand, but those options depend on the type of hybrid currently growing in the field. The following is an excerpt from AGR-6 2016 Weed Control Recommendations for Field Crops.